by Caroline Perkins for the Bandroom Appeal appeal. Following the success of the Thames Path Walk, Kathy, Marion & Perks are once again walking to raise funds for the Bandroom Appeal. 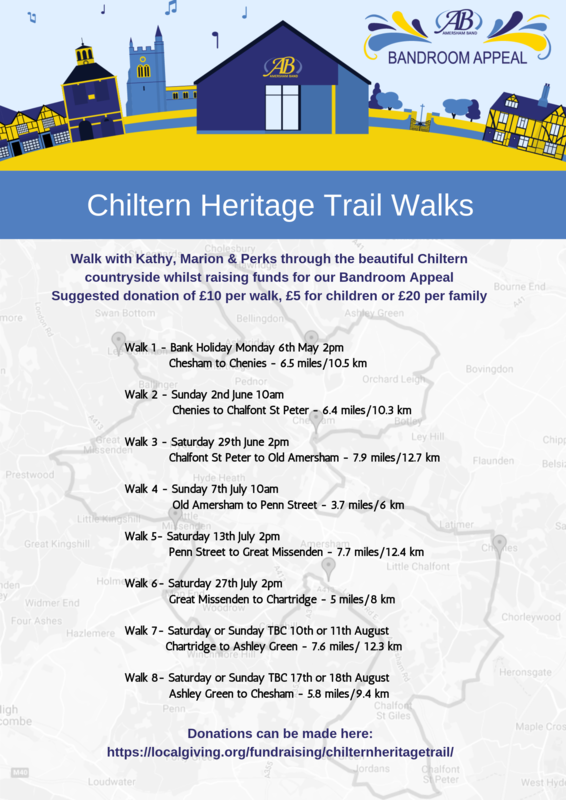 This walk takes in the local Chiltern Heritage Trail around the Amersham, Chesham, Great Missenden and Chalfont St Peter. Help Caroline get started. Be the first to donate! Caroline's fundraising page will be accepting donations for another 86 days.